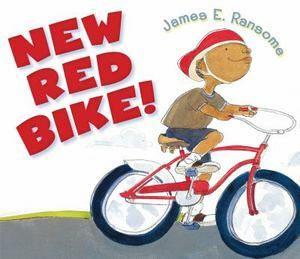 The Children’s Book Council once identified James E. Ransome as “one of the 75 authors and illustrators everyone should know”…and we agree. The Coretta Scott King Illustration Award winner and oft co-collaborator with wife, Lesa Cline-Ransome, is known for creating stunning art for popular picture books such as Uncle Jed’s Barbershop (Simon & Schuster), Visiting Day (Scholastic), and Words Set Me Free: The Story of a Young Frederick Douglass (Simon & Schuster/Paula Wiseman Books). His most recent illustration project–another Team Ransome creation–is Light in the Darkness (Hyperion). My journey of illustrating books is well documented in my bio which can be found on my website: www.jamesransome.com. My journey as a writer started as a young child. In fact, writing is what led me to drawing, because I started by writing stories which soon led to comic books. The stories were about my friends and I going out on missions to save the world during World War II. The movie The Dirty Dozen and comic books like Sergeant Rock were big influences on me. At some point, I realized I enjoyed making pictures more than writing stories. Much later in my life, my wife Lesa encouraged me to write picture books; so I owe her all the thanks. I took very slow steps. My first entrance into the writing world was to edit a book about Christmas (A Joyful Christmas), for which I selected stories and poems submitted by friends. The first book I both authored and illustrated covered one of my favorite topics: football. The idea for this book came about while I was doing school visits. I’d often get into conversations with the students about their favorite football teams, which led to the topic of winning and losing and my being surprised at how important winning was to the kids I was talking with. That led to a story called Gunner, A Football Hero. Again, the visual artists who inspire me are well documented. As far as inspirations from writers, I’d have to say, my wife Lesa Cline-Ransome . Other writers that inspire me are Chris Van Allsburg whose writing is mysterious and has a surreal quality. Julius Lester and Virginia Hamilton are two favorites and of course, I’d also have to include Toni Morrison. One of my favorite passages is “not Doctor Street” from her book Song of Solomon. She is a master at playing with language and that is what attracts me to all these writers. The inspiration for My Teacher came from a teacher I met years ago who was from the Boca Raton, Florida area. She described her school as one hard hit by the fiscal challenges faced by many schools–but filled with caring, dedicated teachers who, despite setbacks, sought to enrich and inspire their students. My Teacher has been reviewed in Kirkus and received a Library Media Connections Starred Review, included below. The most exciting thing I’m currently doing is YouTube videos. My daughter is majoring in film-making at Syracuse University. When I was her age, becoming a film-maker was also my dream. Because I had to buy a camera for her, I also bought one for myself and made some videos which she is editing for me. Here is a link to my first one on painting with watercolor: James Ransome Watercolor Video. I have a new one coming out by February 1st where I discuss how to develop a drawing. For more information on James Ransome, please visit his website here.